Chorley businesses and residents are being advised to 'expect some disruption' as a result of this Saturday's potential title deciding football fixture. Chorley FC are hosting Stockport County in a National League North game, kicking off at 1pm. Many are calling it a title decider with Chorley one point behind first place Stockport with three games to go. 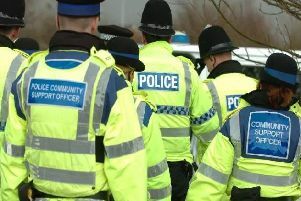 Lancashire Police anticipate that traffic will be busy before and following the game, particularly in and around the stadium, with around 3,600 fans expected to attend the match. Chief Inspector Gary Crowe from Chorley Police said: “This is an exciting fixture in this year’s football calendar and I would like to offer a very warm welcome to everyone attending. "There will of course be plenty of friendly rivalry among both sets of supporters and I am sure all fans want to enjoy the occasion and be entertained in a safe environment. 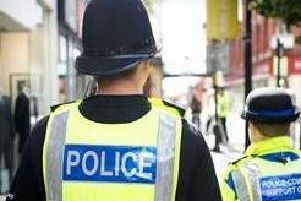 "We’ve worked closely with both football clubs in the planning of the match and our priority is to keep people safe, as well as minimising disruption to the town centre. "Extra officers will be on hand to assist supporters attending the match along with stewards from both clubs." • Look after your personal belongings keeping items such as keys, wallets and purses with you at all times in zipped bags or front pockets.